CATEGORY “A” Your car is a completely Burned out, i.e. it has been set fire or has caught fire, when only the shell is left and clearly cannot be repaired This is called a Category A TOTAL LOSS, NO Retrievable parts. CATEGORY “B” Your vehicle has suffered structural damage and the repair cost exceed the market value, or the vehicle has suffered FLOOD DAMAGE and was immersed in Effluent or Contaminated water. This is called a Category B TOTAL LOSS. Just because your car has Flood damage, does not mean it has to be a Category B Total loss. Contact meto discuss if you want to retain your flood damage car, we will advise. CATEGORY “S” Your vehicle’s has had the estimated repair cost to repair it , the vehicle has Structural damage, the repair cost exceed the market value. CATEGORY “N” This is where the repair cost exceed the market value, but the damage is “non structural”. Insurer’s may wish to deal with the claim on a “constructive total loss basis”,To give you an example to make it clearer, you have a car worth £1000 , the insurer when disposing of the salvage of the vehicle advise’s that it will obtain£300 for the salvage of the vehicle when they dispose of it. You do still have the right to insist on your insurer repairing your car!the insurer will try and refuse, BUT you are insured “UPTO” The market value as per your contract of insurance, not up to a percentage of it’s value. This is especially important if the vehicle is of a low value, you can either insist on them repairing your car, ask for a cash in lieu settlement, or if it is your choice, decide to go down the route of Total losing your car and receive the market value. Should you want to retain the salvage, you cannot be denied that right. Irrespective of the Category, if you want to retain a Category B you can, if you want to take the parts off the vehicle you may have fitted(for example of you have spent a fortune modifying). This vehicle cannot go back on the road, and you may well find the insurance company want a certificate of destruction for the shell once you have removed the parts, and won’t issue payment till this is done. 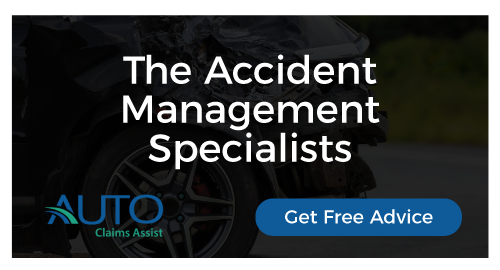 Our advice is, unless it is cosmetic damage, do not retain.If you have a contact in the motor trade, or know a friendly bodyshop, discuss with them first to see whether it is in your interest. If your vehicle has any structural damage, i.e. any part that is welded on that is damaged, walk away. You need to remember, that even after you repair your vehicle, it will now not be worth the same as one that does not have the history that yours does.Generally they are worth 20% less than one that does not have a total loss marker. Cat N total loss your insurance company may want 30% of its market value to retain, if you want to keep the vehicle, do not in any way opt to retain.Make them repair your vehicle or deal as a Cash in lieu settlement and that way it will not have a Category D marker against it. Category S total loss, range from 15%-26% of its market value.If you are dealing with your own insurance company and they have a contract in place with a salvage agent, then you will struggle to negotiate. If you are a third party to a claim, claiming through the other parties insurance company, there is no contract in place, and a court would view it as what would it be reasonable to expect your salvage to sell for in the open market. This value may be much less, so negotiate, or contact us and we can do that for you. Category B is usally 10% of market value or less, and the above applies in relation to whether it is your own or other parties insurer. Our personal View is we would not retain the salvage, as it is a lot of hassle for little benefit.So there would need to be special reasons for wanting to retain. Once you have retained and repaired, your insurance company may now ask for an independent engineer report to establish it has been repaired correctly and safely, before they agree to re-insure.